For those who don’t know, the world of banking will be changing quietly from the start of 2018. Secure access to specific current accounts in order to read the transaction data and initiate payments (by January 2018)—with customer consent. This involves the creation of secure APIs by the banks that will be able to perform these activities on your account. 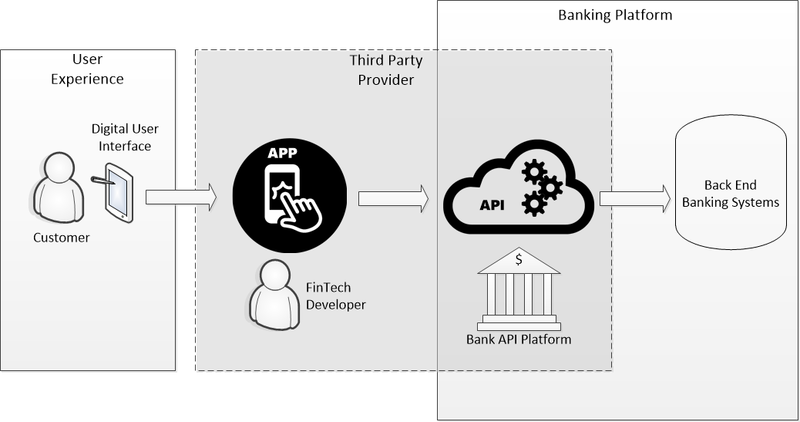 This will allow third-party providers, such as FinTech companies, to be able to write applications that consume these APIs and perform these financial transactions on your account. Now, I tend to look at such technological developments with two hats on. First, as an Identity and Access Management professional, I look at the security elements. The security around open banking uses the concept of consent, that of delegating authority to perform actions on our accounts to a third party. OAuth2 is a type of authorization protocol used here: it is successfully incorporated into applications such as Facebook to provide delegated authorization. I myself have configured its use within, for example, ForgeRock’s Access Management product OpenAM. I have also worked on an Open Banking project and have been involved in working groups involving the CMA-9, so I know that far greater intellects than mine are involved in making this a success (which should make people sleep a little easier). “Payment App by Honest John’s Fintech Co. would like permission to make a payment from your bank account on your behalf. My first instinct, in this case, is to close the window and reach for my credit card to make the transaction. At least, in that case, I will know the parties accountable for making the end-to-end transaction and who is responsible if there is a problem. What if (with my tech head on) this is a man-in-the-middle attack, and I’m about to hand my banking details to a malevolent third party? Regardless of the plans of the CMA-9 and associated working parties to open up banking to third-party providers, I believe it will take more of a concerted effort to convince the general public that open banking will be safe, secure and fit for purpose. I am looking forward to hearing more on this subject from the government in the coming months.